Everyone enjoys seeing a smile. In fact,we would all probably feel better if we smiled more often. Anything that takes away your confidence to smile can therefore have a significant impact on your life. If teeth imperfections are making you shy away from showing off your smile, then Garden View is here to help. Based in Buckinghamshire, cosmetic dentistry at our practice is used to restore healthy smiles. Advances in modern dentistry mean there are an abundance of treatment options available. What’s on offer to rejuvenate your teeth? For cosmetic dentistry in Buckinghamshire, Garden View can offer you a comprehensive range of treatments. For discoloured or stained teeth, we provide two different teeth whitening packages that use a clinically approved whitening gel. Power whitening is carried out in the safe and friendly environment of our dental practice. After just an hour of treatment, you can walk away with whiter teeth. If home whitening is more convenient for you, we will provide you with mouth trays custom-designed for your teeth. Wearing these trays filled with whitening gel for several hours a day can bring you results in just two weeks. For chipped, stained, or misshapen teeth, porcelain veneers are the ideal solution. These thin shells fit onto the fronts of your teeth. They are customised to give you the shape, size and colour you want. For a complete smile makeover, you can opt to have a full set of veneers fitted. If you have unsightly gaps between your teeth, we provide composite bonding. This fills those gaps by applying a special material to your teeth, which is shaped and finally polished. The material is colour-matched to your teeth to ensure a seamless look. White fillings are available to restore the structure of damaged or decayed teeth. No more need for conspicuous metal fillings. These will blend into the background of your teeth. With such a range of cosmetic treatments available, our highly trained dentists are here to present you with the best options for your particular case. For cosmetic dentistry in Buckinghamshire that gives you excellent aesthetics and reliable results, Garden View is the place to go. This entry was posted in Cosmetic Dentistry on 14th December, 2016 by Garden View Dental Care. What does make the perfect smile? The truth is that the answer is different for everyone but there are often commonalities. Ultimately, a perfect smile is one that you are willing to flash at every appropriate occasion and a willingness to connect with people. These things are made much more likely when you are happy with, and proud of, your smile. For most people, when it comes to cosmetic dentistry in Buckinghamshire, this means something that is natural and authentic looking with a little enhancement. Teeth that are gap free are often considered more attractive as well as those that are well aligned. If you are considering cosmetic dentistry in Buckinghamshire, talk to us at Garden View Dental because we understand these things and can work with you to achieve a look that suits you. How can you get the most out of cosmetic dentistry in Buckinghamshire? At Garden View Dental, we create an environment that is open where you can feel safe to talk to your dentist about what it is you really want. This can be anything from teeth whitening to give you a bit of extra pizazz at a special occasion to a full smile makeover to start a new chapter of your life. We can replace missing teeth, straighten up crooked ones, close gaps and many more treatments. These can be combined to have a huge impact both on your smile and on your life. Of course, oral hygiene is also important for confidence and everyone knows how important a diligent routine is. But, did you know that many cosmetic procedures can also help with oral hygiene? Your teeth can be easier to look after and less like to trap food or build up plaque. This also means your mouth is fresher and healthier. We hope this is enough information to get you started and encourage you to get in touch soon and start the journey. Making the choice is not easy for some people but we believe that the better informed you are about the challenges as well as the life benefits of any treatment, the more likely you are to feel in control and able to take the leap. This entry was posted in Cosmetic Dentistry on 7th December, 2016 by Garden View Dental Care. You can start your Buckinghamshire cosmetic dentistry journey with our latest offer of a50% saving at Garden View Dental Care. At Garden View Dental Care, we normally charge £65.00 for an initial consultation for patients who are new to our practice. This is something that everyone who is new to the practice needs to have before they can move on to other treatments, including cosmetic dentistry. This is because it is important that any cosmetic dentistry in Buckinghamshire is carried out on patients in good oral health. Once we are assured that your mouth, teeth and gums are in good health, we can start to look at making sure your smile is also in tip-top shape. We have a range of treatments to improve your smile. Maybe your teeth have become stained or discoloured over the years, in which case we can brighten them up with a teeth-whitening treatment. You can either have Power whitening treatment in the dentist’s chair, which will lighten up your teeth by several shades in just an hour. In Buckinghamshire, cosmetic dentistry treatments like this are perfect for important occasions, such as a wedding or job interview. We also offer home whitening, which you can do yourself over a period of a couple of weeks. Or, if you have worn, chipped, slightly misaligned or gappy teeth, then porcelain veneers also offer a quick makeover, with long-lasting effects. Veneers are tiny sheaths of porcelain that slip over the tooth. They are fixed on with dental adhesive. The tooth has to be slightly ground down so that the adhesive has something to stick to, and also to make sure that your veneer is in alignment with the surrounding teeth. You can have one veneer, or a whole set, which is known as a smile makeover. In Buckinghamshire, cosmetic dentistry treatments can also help solve the embarrassment of a mouth full of metal fillings. We can replace your amalgam fillings with white fillings, which are made from a very hard substance that can withstand the strong forces that come with chewing. White fillings can give you back the smile of your youth. This entry was posted in Cosmetic Dentistry on 30th November, 2016 by Garden View Dental Care. If you think cosmetic dentistry in Buckinghamshire involves lengthy treatment that takes months to complete, it’s time for a rethink. Garden View Dental Care offers a range of cosmetic treatments, some of which could give you the best Christmas present in the world – the smile you’ve always dreamt of. Cosmetic dentistry is a broad umbrella term that covers a wide range of treatments large and small. At our Buckinghamshire clinic we believe that there is no such thing as a one-size-fits-all treatment – your smile is just as individual as you are, and what constitutes the perfect smile to one person may be entirely different to the next. That’s why, when you come into our Buckinghamshire clinic for a cosmetic dentistry consultation, your dentist will take the time to get to know a bit about you and what you want to achieve from any treatment, before carrying out a complete clinical examination. After discussion of their findings with you, your dentist will then draw up a customised treatment plan. Should you be looking to boost your smile in time for the fast-approaching Christmas party season, there are a number of options available, and it’s best to book a consultation at our clinic as soon as possible, because cosmetic dentistry in Buckinghamshire should only take place in a healthy mouth, so if you have any underlying issues such as tooth decay, your dentist will treat these first. The cornerstone of cosmetic dentistry, and the most popular procedure in the world, when carried out by a qualified dentist this is a safe and reliable way to remove common stains from your teeth. You can carry out the procedure at home under your dentist’s supervision, or have power whitening here in our Buckinghamshire dental clinic. These thin porcelain shells are carefully crafted to fit over the surfaces of your front teeth, improving their appearance. Veneers can be used for minor spacing and alignment issues, as well as for chips and stains. You will need two to three appointments for this procedure. This entry was posted in Cosmetic Dentistry on 23rd November, 2016 by Garden View Dental Care. So many people struggle with the fact that, despite having a mouth that is in great shape health-wise, their smile leaves something to be desired. All it takes it one crooked, chipped or worn tooth, or a little discolouration, for someone who is in otherwise great dental and oral shape, to feel less than comfortable about smiling, eating and laughing. Yet cosmetic dentistry in Buckinghamshire offers various different techniques, some which can be completed in a single visit, to bring out the best in your smile. At Garden View Dental in Buckinghamshire, cosmetic dentistry covers an entire range of treatments, from the latest and best in dentures, bridges and crowns, to the state-of-the-art techniques, such as tooth whitening, porcelain veneers, white fillings and dental implants. Cosmetic dentistry in Buckinghamshire can fit porcelain veneers over chipped, broken and discoloured teeth, or even slightly misaligned teeth. Veneers are durable, very thin covers of porcelain that the dentist fixes over your natural teeth. The dentist needs to remove a thin layer of enamel to prepare the right surface for the veneers to adhere to, and to ensure the veneers are in line with your other teeth, but once the veneers are in place, they look and behave just like natural teeth. You can have one, two, several or even a whole mouthful of veneers fitted. If your teeth are crowded, crooked or misaligned, or your bite is uneven in some way, then cosmetic dentistry in Buckinghamshire can reposition them using Invisalign invisible aligners. These do the same job as braces, without being fixed to the teeth. Instead, aligners are very snugly-fitting transparent plastic covers that slip over the teeth. Each aligner deliberately does not quite match your teeth, but instead matches the next step along the way to their desired position, and the pressure of not quite fitting moves the teeth over a matter of months. Aligners can be removed to make it easier to eat, and to brush your teeth, or if you want to appear at your very best for important events. In Buckinghamshire, cosmetic dentistry at Garden View also offers dental implants to replace lost teeth, and professional tooth-whitening. This entry was posted in Cosmetic Dentistry, Teeth Whitening on 16th November, 2016 by Garden View Dental Care. In Buckinghamshire, cosmetic dentistry is helping people rediscover their lovely smile. ‘Has this mouth got too many teeth?’ – a condition known as over-crowding. ‘Are these teeth leaning far in or too far out’ – misalignment is the technical term for this condition. ‘Can I see too much gum when the patient smiles?’ – a feature known as gummy smile. These are the naturally-occurring problems that patients come into Garden View Dental to ask about treatment for. Teeth have been or knocked out, or fallen out, or been extracted due to infection or too many fillings. These are all problems that people seek help for. In Buckinghamshire, cosmetic dentistry is no longer seen as self-indulgent. Increasing numbers of people recognise the benefits of a great smile of sparkling, evenly-toned, straight, healthy-looking teeth. That feeling of well-being comes from several sources. Firstly, the smiler is no longer carrying the burden of self-consciousness, maybe even outright depression caused by the condition of their teeth and mouth. Secondly, the mouth and teeth are in a better state, and because straighter teeth help prevent oral diseases, the patient’s physical health is better. Thirdly, smiling releases natural happiness chemicals, such as serotonin and beta-endorphins, leading to levels of increased happiness. With all these benefits, how could cosmetic dentistry in Buckinghamshire can change lives. At Garden View Dental, cosmetic dentistry in Buckinghamshire, can help you reclaim the smile you want. Our treatments include teeth whitening,white fillings, porcelain veneers, biocompatible restorations, gum contouring. One or more treatments can be combined to create a treatment package known as the Smile Makeover. This entry was posted in Cosmetic Dentistry on 9th November, 2016 by Garden View Dental Care. Are you looking for a better smile? We can help you improve the quality of your smile with cosmetic dentistry in Buckinghamshire. Teeth whitening can boost your confidence! Many things can cause teeth to discolour, whether from smoking or excessive sugar and coffee. An easy solution to ensure that your teeth are a few shades brighter is either, to come in and receive a teeth whitening treatment, or to take home one of our home-whitening kits. Prices for both options are available on our website. Some people are very fond of the gap in their teeth, but if this is causing you emotional problems then you can opt for cosmetic dentistry. Buckinghamshire is home to many confident smiles and yours could be one of them! A gap in the teeth can make you self-conscious about your smile, in addition, it can also give oral hygiene problems if plaque builds up between the teeth. Instead of leaving it to fester, we here at Garden View can offer to help you with your solution. Come into our surgery for an appointment. Have you thought about veneers? Another option of cosmetic dentistry in Buckinghamshire, is for porcelain veneers. Veneers are thin layers, a bit like finger nails, that are placed over the tooth. They are matched to your other teeth, to make it a natural-looking option. Veneers can be placed over any teeth that have been stained or chipped. When patients opt for veneers over all of their teeth, we call this a smile makeover. What can new patients expect? We warmly welcome you to Garden View Dental Care in Buckinghamshire. Cosmetic dentistry is something that we are proud that we can offer, as it allows everyone the chance to improve the appearance of their teeth. Our friendly team are here, whenever you are ready to come in for your first appointment. There are car parking facilities at the front, for your convenience. In the appointment we will look at your full medical history, take x-rays, screen for cancer, and discuss the outcome you are looking for. One of our skilled dentists will talk you through your options so that you can leave with clarity, knowing what the next step towards your desired smile will be. This entry was posted in Cosmetic Dentistry on 26th October, 2016 by Garden View Dental Care. We all like to take care of ourselves. For a night out or important meeting, we can spend hours picking out the perfect outfit that will make the right impression, or make the night go with a swing. But what if your smile is the only thing letting you down? Let our professionals in the field of cosmetic dentistry in Buckinghamshire add the finishing touches to your style. Increasing numbers of motivated men and women across the UK are recognising that a polished, professional appearance is key to landing their goals- whether that be a promotion, gaining valuable new networking contacts or acing that interview. Buckinghamshire cosmetic dentistry offers an impressive range of cosmetic dental procedures to help you do just that. Treatments range from porcelain veneers, white filling and closing the gaps (diastema closure), all of which will help you look as professional as you feel. The recent Kelton study has confirmed that people with a pristine smile and a gleaming set of teeth as more successful and smarter than their peers, giving them the edge to succeed in an increasingly competitive job market. More than half believe that someone with less than perfect teeth would be less likely to land a job when competing with someone who has similar levels of skill and experience. Professionals choose Garden View Dental Care for seamless cosmetic dentistry. Buckinghamshire patients know the practice prides itself on knowing that the biggest difference their services provide will be not just a change in how others perceive you, but a boost in well being, inside and out. Aside from physical appearance, the sense of polished elegance and sophistication will give you the self-esteem boost you need to really bring your A-game. When you look spotless, your energy and focus will be concentrated purely on the task at hand, not distracted by worries about your appearance. Giving patients the relaxing, VIP treatment they deserve is a key part of the service offered at Garden View, Buckinghamshire. Renowned for the pleasant, modern surroundings and soothing garden view, patients are welcomed with the best in qualified, friendly staff and state of the art equipment. With pain free dentistry (WAND), special care for nervous patients, and free Wi-Fi and hot drinks in our comfy sofa areas, our Buckinghamshire cosmetic dentistry practice is truly patient-led. This entry was posted in Cosmetic Dentistry on 14th September, 2016 by Garden View Dental Care. Contrary to popular belief, cosmetic dentistry isn’t only about aesthetics. At Garden View Dental Care in Buckinghamshire, we are always keen to point out that many cosmetic procedures have additional health benefits, too. A happy smile tends to be a healthier smile. When you come into Garden View Dental Care in Buckinghamshire for a cosmetic dentistry consultation, your dentist will conduct a thorough clinical examination, to establish whether there are any underlying health concerns behind your cosmetic issues. The most commonly requested procedure in the world of cosmetic dentistry is teeth whitening treatment. This should only be carried out on a healthy mouth, and you must consult a dentist for any type of teeth whitening. Whilst teeth whitening is effective on common stains such as those caused by dietary factors or smoking, it doesn’t work on every type of stain. It may shock you to discover that the biggest cause of tooth staining in the UK is visible dental plaque. This isn’t just an aesthetic issue. Plaque causes both gum disease and tooth decay, which can have serious implications for your oral and general health. If your dentist finds plaque to be the primary cause of your tooth staining, they will refer you to the hygienist at our Buckinghamshire clinic for a professional scale and polish, along with advice on how to stop plaque coming back. Cosmetic dentistry can provide aesthetically appealing and functional solutions to tooth loss. At our Buckinghamshire clinic, we always emphasise the importance of replacing missing teeth one way or another. Your cosmetic dentist may recommend an aesthetically appealing denture or bridge, and for a more secure long-term option that will also help to keep your jaw bone strong and healthy may recommend using dental implants to secure your new teeth in your mouth. Crowns and fillings no longer have to be made from obvious metal. Instead, your Buckinghamshire clinician can use tooth-coloured fillings (made from strong and durable composite material) and crowns (made from such materials as porcelain). Fillings restore and repair teeth damaged by decay or accidental breakage, whilst crowns provide extra reinforcement for damaged teeth. This entry was posted in Cosmetic Dentistry on 24th August, 2016 by Garden View Dental Care. Cosmetic dentistry is all about making smile dreams come true. At Garden View Dental Care in Buckinghamshire we offer a number of aesthetic dental treatments, designed to help you achieve a dream smile – whatever that may mean to you. A large proportion of the UK population are unhappy with how their smile looks – 48% of us are dissatisfied with our current smile’s appearance. The biggest complaint is about stained our discoloured teeth. If this is affecting you, a cosmetic dentistry consultation at our Buckinghamshire dental practice can help. There are several cosmetic dentistry options available to improve the colour of your teeth and the brightness of your smile. But this isn’t all that cosmetic dental treatment can do. Cosmetic dentistry offers a wide range of solutions to every aesthetic problem. When you come into our Buckinghamshire clinic, the first thing your dentist will do is to establish what you like and dislike about your current smile, and what your ideal smile would look like. 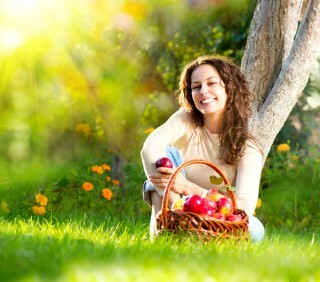 Some people come into Garden View in Buckinghamshire convinced that there is nothing that can be done for their smile. However bad you think your smile looks, it is unlikely to be something your cosmetic dentist hasn’t encountered before. The ideal smile means vastly different things to different people, and good cosmetic dentistry is about finding the perfect smile for your face. You may require a single course of treatment, or may benefit most from combining two or more options from the extensive cosmetic dentistry menu at our Buckinghamshire dental practice. No matter what your needs are, your dentist will create a fully customised treatment plan, detailing the order, length, and projected costs of any treatment, so that there are no unexpected surprises further down the road. Teeth whitening – When provided by a dentist, a fast and safe way to boost smile brightness. Porcelain veneers – Micro-thin hand-crafted shells of porcelain bonded over front teeth to improve their appearance. Replacing metal fillings/crowns – Tooth-coloured fillings, inlays, or crowns can be used to replace obvious metal restorations. This entry was posted in Cosmetic Dentistry on 10th August, 2016 by Garden View Dental Care.